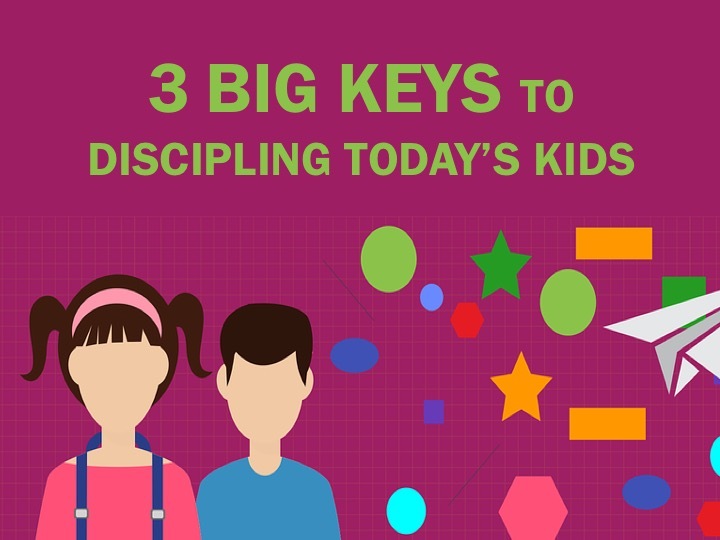 There are many different thoughts, insights and strategies for discipling kids. You can see this reflected in the vast array of curricula and ministry models offered. We all have the same goal in mind. To see kids grow up to be passionate followers of Jesus. As you plan, strategize and map out how to do this, there are 3 big keys to keep in mind if you want to be effective. Key #1 - Remember kids are naturally focused on growing. Kids want to grow. They want to be taller, older, smarter, better, etc. They measure their height. They compare themselves to other kids and you can be sure they know who the "tallest kid in the class" is. They can't wait to grow to be tall enough to go on the big rides at the amusement park. They have their attention focused on growing up to be like the "big kids." For preschoolers, they want to grow and be in lower elementary. For lower elementary kids, they want to grow and be in upper elementary. For upper elementary kids, they want to grow and be in middle school. For middle school kids, they want to be in high school. Why is growing so important to kids? Because a big part of kids' lives is spent figuring out who they are individually. Growing helps kids discover what they like and who they are becoming as a person. Since growing is such a big deal to kids, showing kids how they can grow spiritually is a big key to discipling them. Use "grow" terminology when you talk with kids about spiritual development. Provide kids with tools they can use to grow and show them how it will benefit their spiritual growth. Help kids measure and track their spiritual growth steps. Celebrate with kids when they hit spiritual growth milestones. This is why kids love their birthday parties so much. It is a celebration of their growth and development. Take this type of celebration into their spiritual growth and development. Key #2 - Help kids strengthen their relationships. Younger kids are all about connecting with their family. As kids grow, this shifts more to connecting with their friends. Kids don't call it "relationships." They call it 'being friends" with someone or "my best friend." Though the terminology may be different for kids, the bottom line is this. Relationships are a big deal for kids. This being said, we must realize that discipleship doesn't just happen through acquiring knowledge or memorizing scripture. It happens just as much through relationship. In fact, I believe it takes the combination of both to see kids effectively discipled. Are we giving kids the opportunity to grow through relationships? Does our programming format reflect this? Does our room layout reflect this? Are we providing kids with consistent leaders who they can build a relationship with? Are we leveraging the family relationships in a kid's life to help them grow spiritually? Key #3 - Help kids discover and use their gifts and talents. Kids are seeking to know what their gifts and talents are. Why? So they can use them to stand out and be admired by others. And through this they are also able to express themselves and build confidence. We know a huge part of discipleship is using your gifts and talents to actively live out your faith through works and acts of service. The Bible tells us faith without works is dead. There is something about using your gifts and talents for the Kingdom that activates your faith and makes it come alive. This has been proven to be true in the stats that show kids who continue in their faith after high school are the kids who are actively involved in serving. Are we helping kids discover the gifts and talents God has given them? Are we giving kids the opportunity to use their gifts and talents to further the Kingdom of God? Are we helping build kids' spiritual confidence by showing them how God is using their life? Are we challenging kids to leave their spiritual mark on the world? Focus on these three keys and you will see the kids in your ministry become passionate followers of Jesus. Wow, many of these statements about encouraging the kids to grow in their gifts and talents, learning more about God thru daily devotion, and learning about "life" thru the fellowship of relationships/freinds, are emphasized in our Children's Pastor (Mick Schultz) book. Ministry Training Academies: Equipping Kids for Ministry. If you want kids to get excited about coming to church, let them BE a part of making it happen.